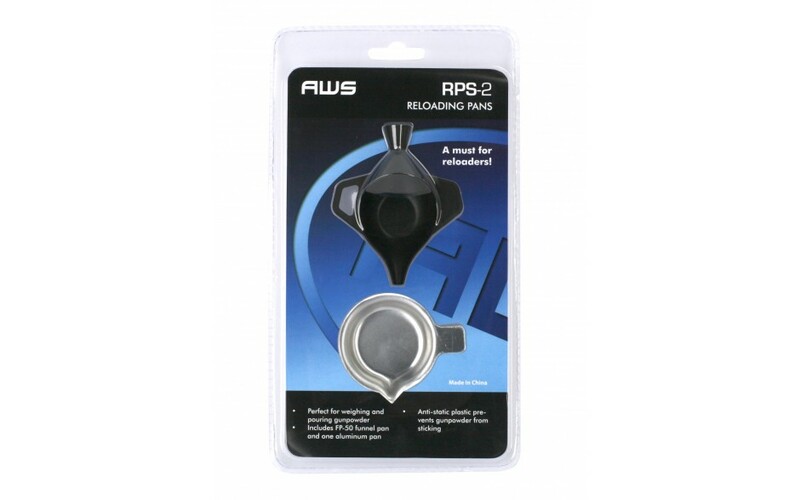 The RPS-2 reloading pan set includes two weighing trays for weighing gunpowder. 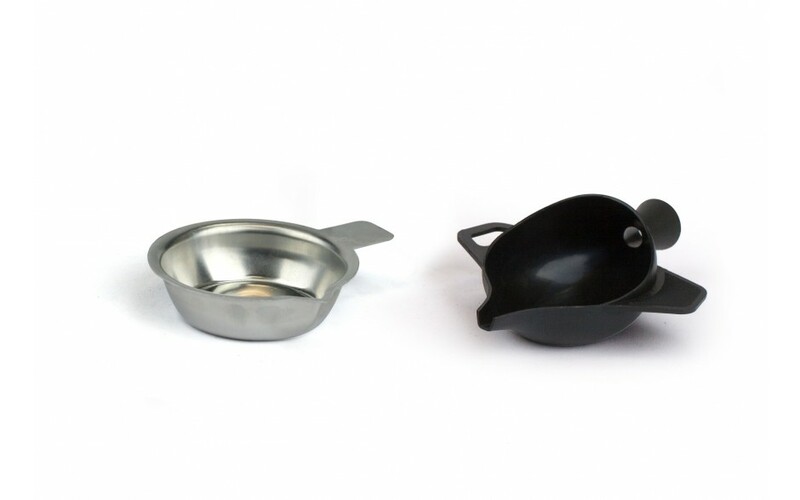 The anti-static funnel pan is perfect for reloading ammunition up to .50 caliber and allows you to weigh and pour using the same tray. The additional aluminum pan is great for weighing gunpowder or other loose items.